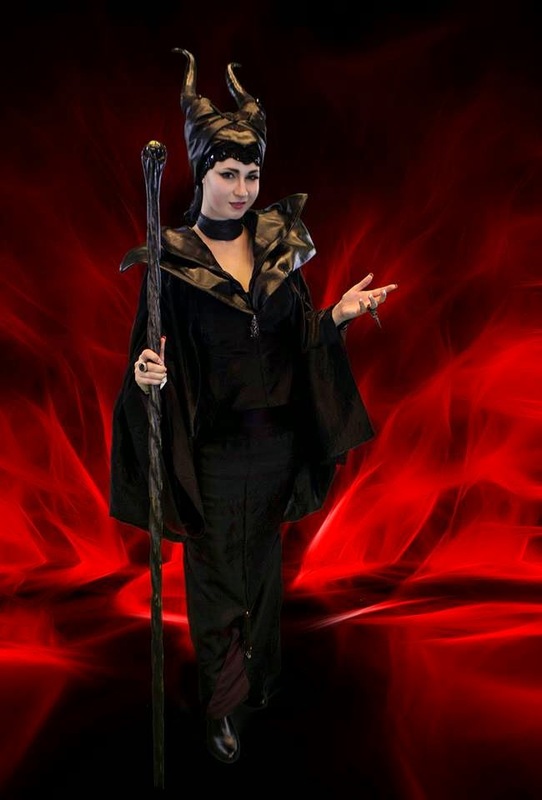 A few weeks ago we featured Amberlee and her Maleficent cosplay. As promised she has shared her crafting secrets for this fiendish fairy. Here are her notes and design choices. I personally cannot wait to see what she comes up with in the future. 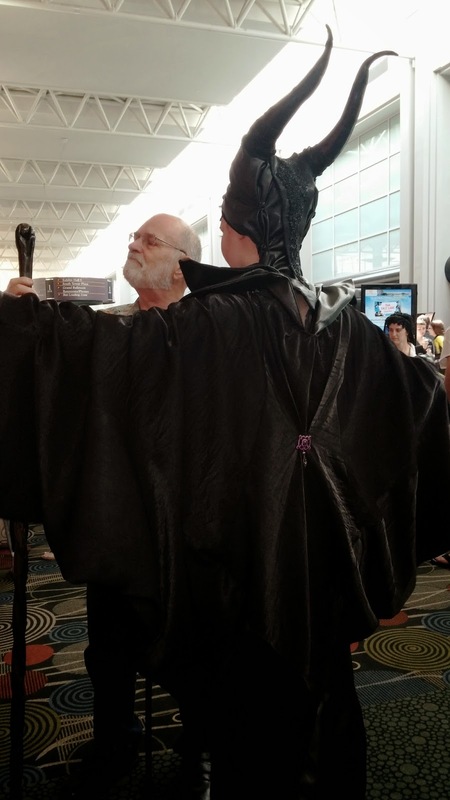 I had decided to do the Maleficent costume soon after last Septembers Comic-Con. I had seen a wonderful Ursula cosplay and thought that the female villains of Disney were a wonderful idea. I remembered that a live action version of my favorite fem-fatal, Maleficent, was going to be played by one of my personal hero's Angelia Jolie, and it just clicked. I didn't start making the costume until February of this year, and was slow going. I had soooo little reference to go on, with only one teaser trailer released and a few good pictures, one being the awesome headshot of just her face and cowl. So I started there. I knew I wanted to make it all with leather and fine material, no matter how heavy, hot or complicated. I have this passion for feeling what I think the real think would be, the weight of it and it makes it feel real. 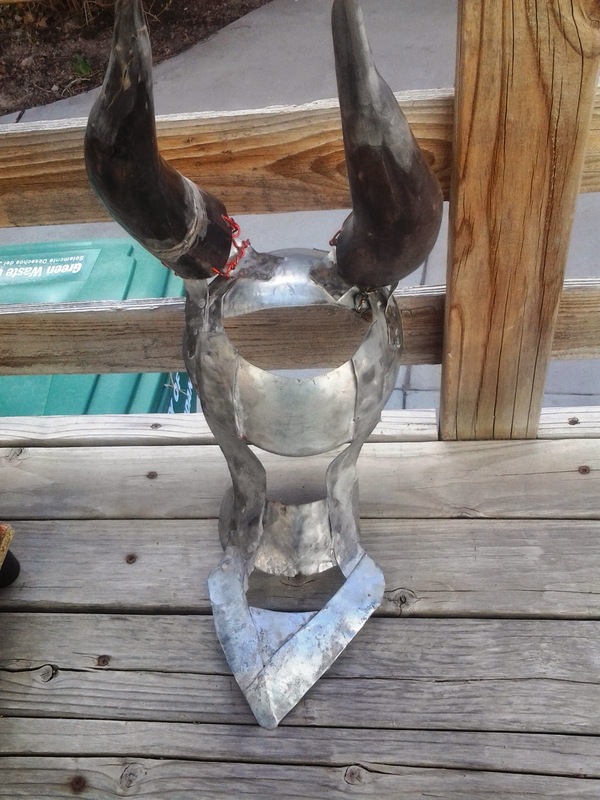 I made the horned headpiece by first shaping galvanized steel that I had left over from a school project at the University of Utah. I shaped a dome by shrinking a round cut in a tree stump, that is done by hammering it in a carved section of the trunk. I would use an English Wheel to stretch and smooth out the hammered marks and further shape each piece that I then wielded on to the top dome I made for the skull cap. 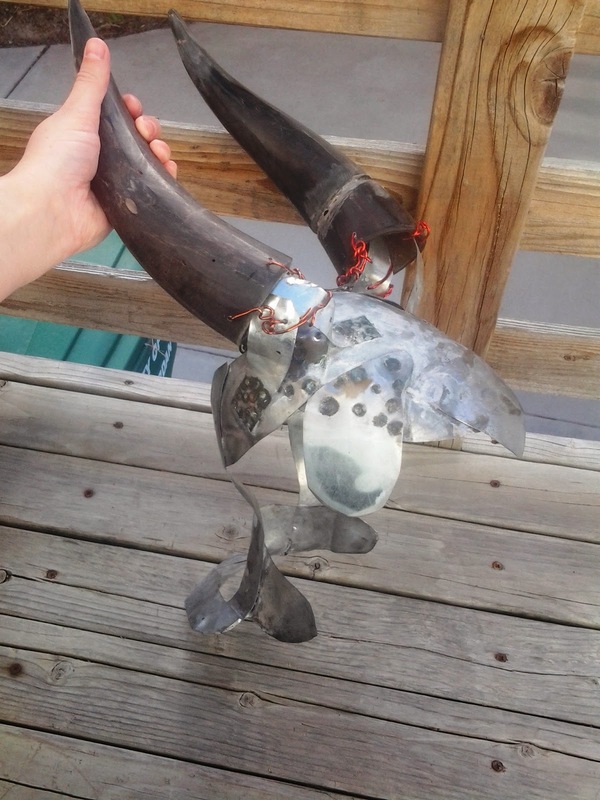 I attacked cow horns that I bought at Beck Leather and Crafts in West Jordan Utah, after I had added and partially shaped them and drilled holes to wind wire into to attach them to the metal dome. With the costume, I looked for any design pattern that I could use and could not find one that would work. I had a winter sweater that had some of the design aspects I thought I could use and took large pieces of paper and made a pattern loosely based on it. I found some wonderful, but pricey, fabric that matched as closely as I could tell to what was in the trailers. Sewing it together the wonderful fabric allowed me to unstitch and re-stitch as much as I needed to get the end shape of the flowing sleeves that was not close to the pattern I started with. The skirt was made to fit a hippy girl like me so I just adapted it to my shape and added a stretchy material on the hips to allow me to move. I added some dark purple with stretch fabric to the bottom of the tight mermaid dress so I could walk a little easier. The cowl was the bane of my existence and will be redone for future use. I had cut out eight triangles of leather that I had guessed to be the proper shape to form the upper and lower cowl. I did not have mannequin or form to test my shapes on and had to put all the work in before I could see if it worked. 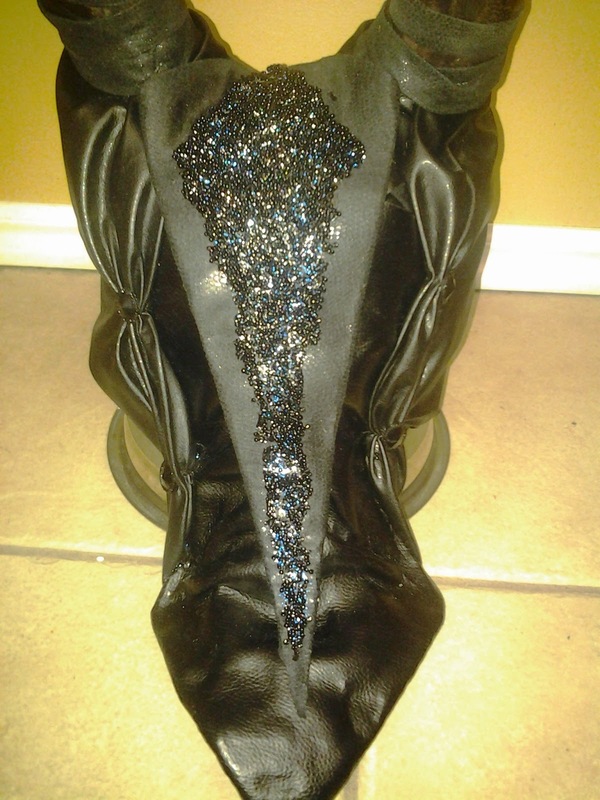 I sewed two leather pieces at a time and glued flat floral wire inside to allow me to shape the leather. The problem that occurred is my use of spray-on glue that unglued and gunked up the inside. I did not put in enough wire support for shape and because the glue was bad, my wires came out of place and the cowl lost its shape. I ended up with a lumpy misshaped cowl and no time to fix it before FanX. I will fix this and make a smaller stiffer version when next you see me.